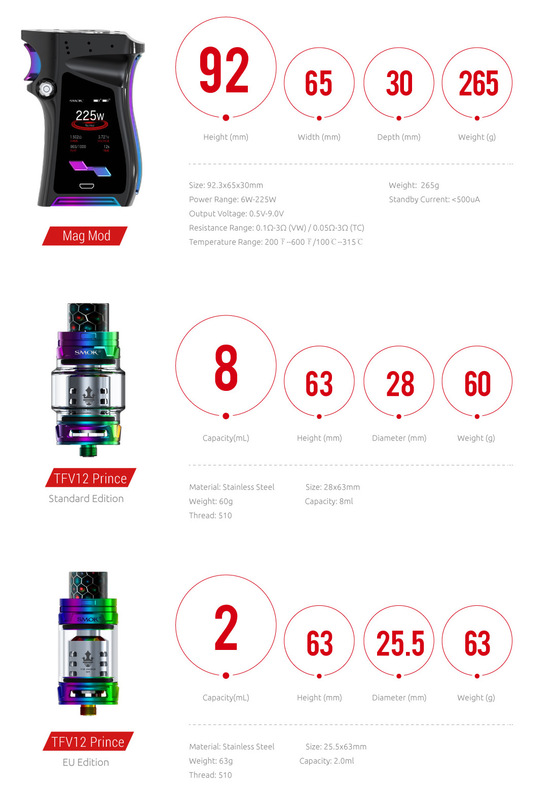 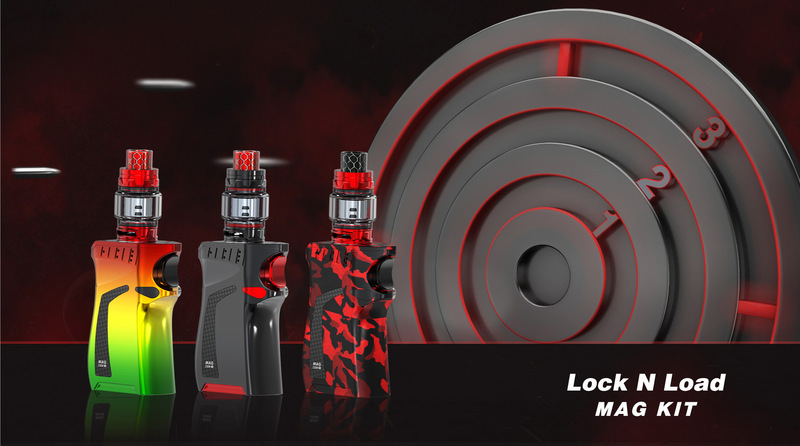 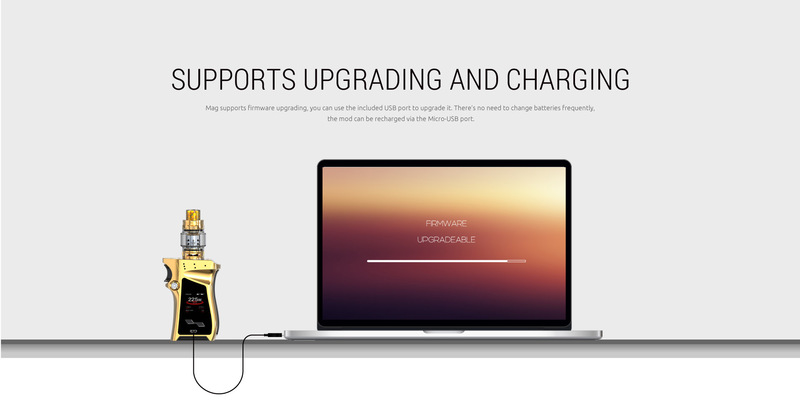 Ergonomically and trendy design, the Mag Mod Kit delivers a striking masterpiece with a maximum of 225 W power output to pair with the high-caliber 8 ml capacity of TFV12 Prince Tank. 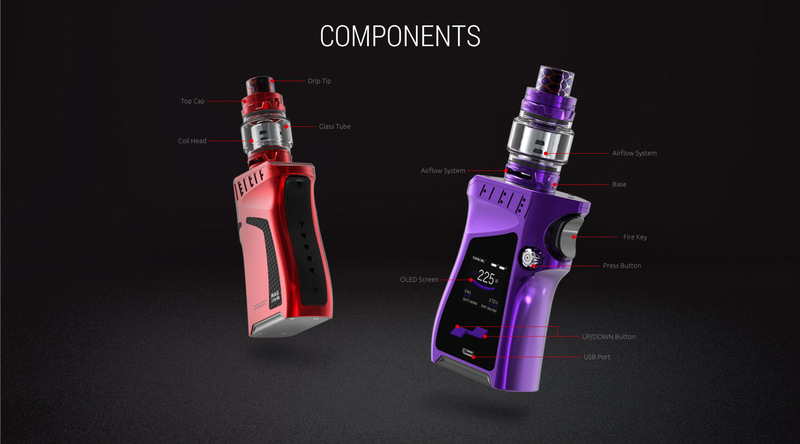 This kit utilizes battery installations of the dual high-amp 18650 (sold separately) is opened via a flower-shaped button located on the side of the face. 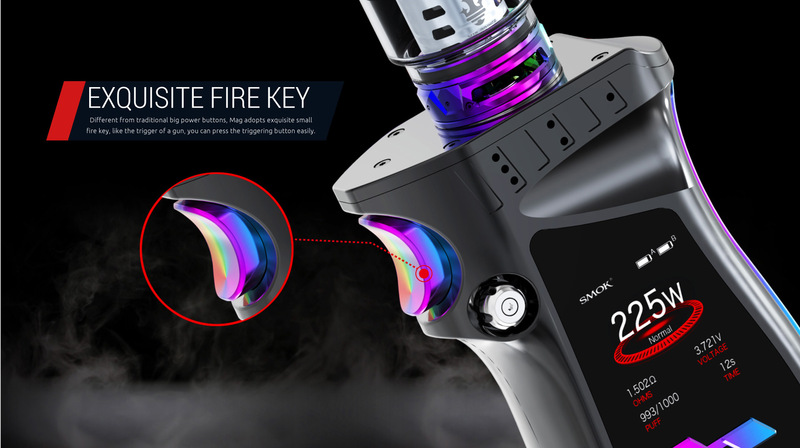 THE TVF12 Prince Tank has patented tank locking mechanism to ensure a perfect seal. 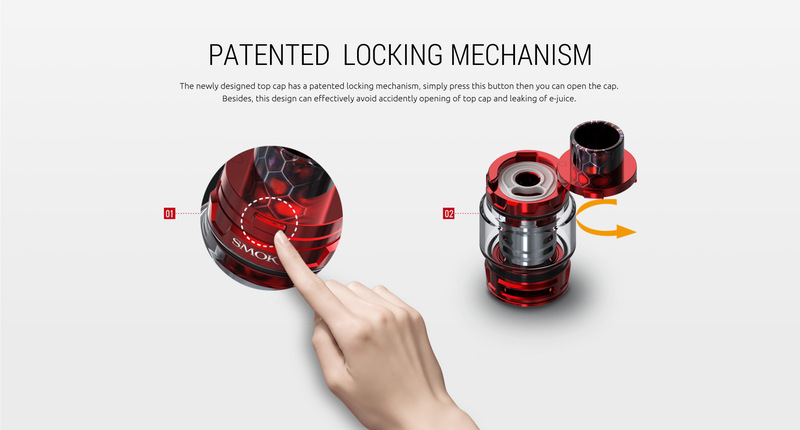 The device is trigger inspired in a form of gun-shaped for easy and comfortable holding and grasping. 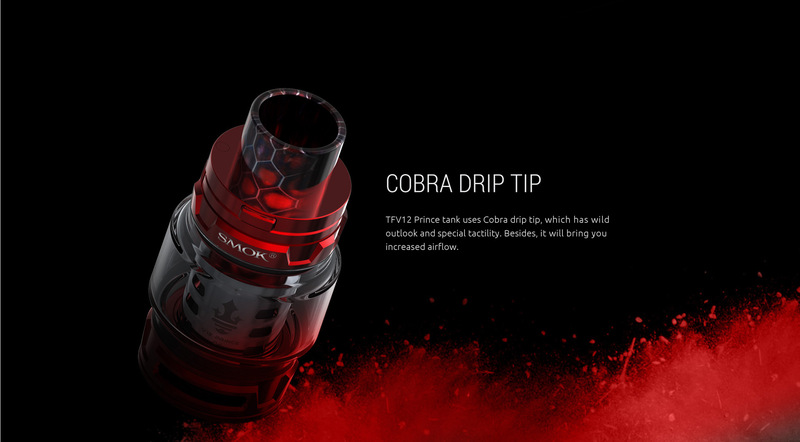 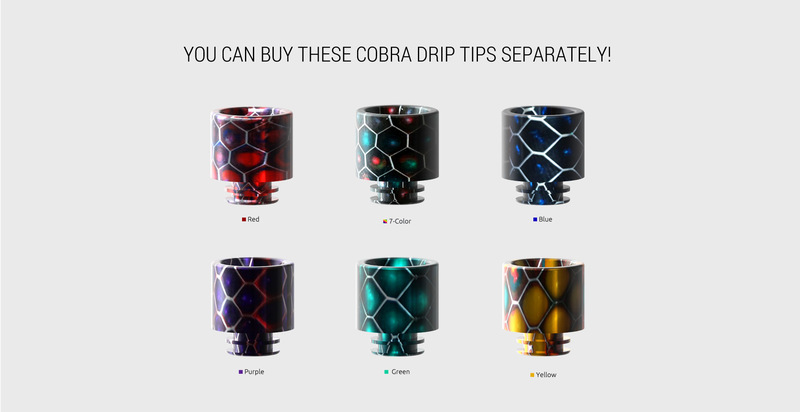 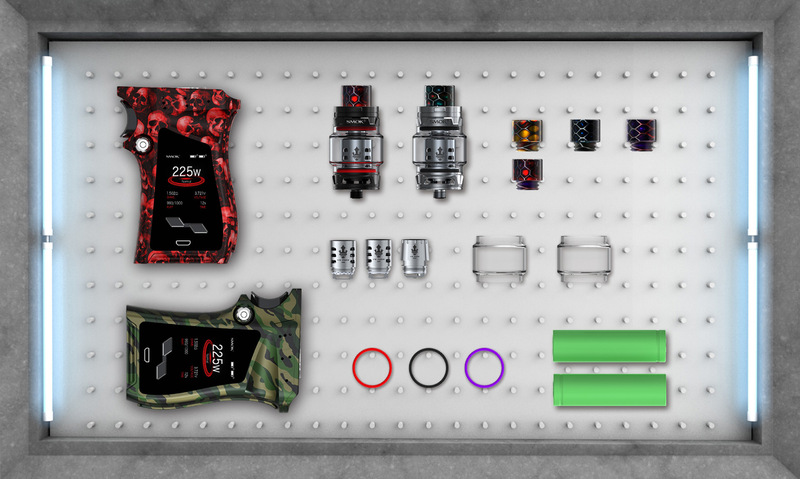 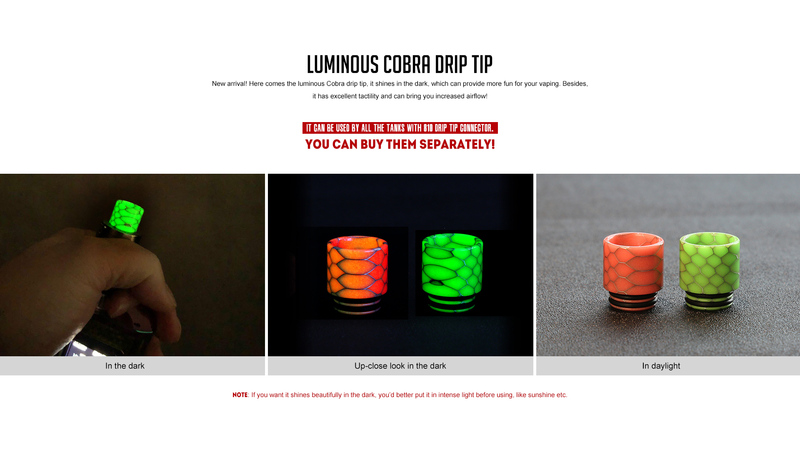 The complete kit is a wild beast with its small fire key like the trigger of the gun along with cobra drip tip. 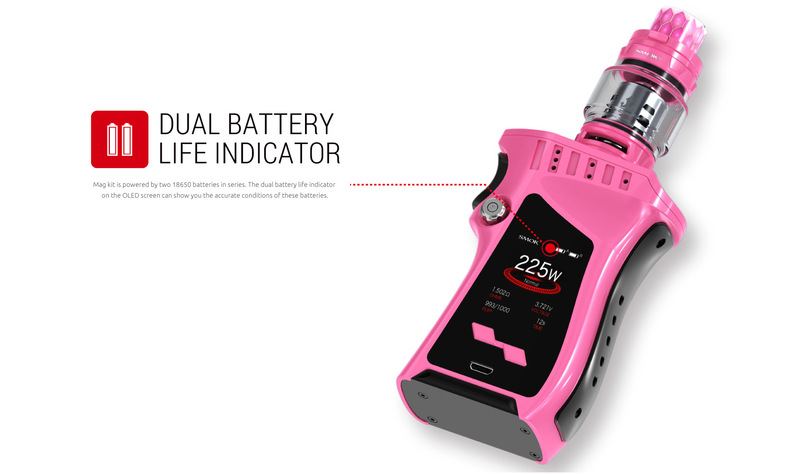 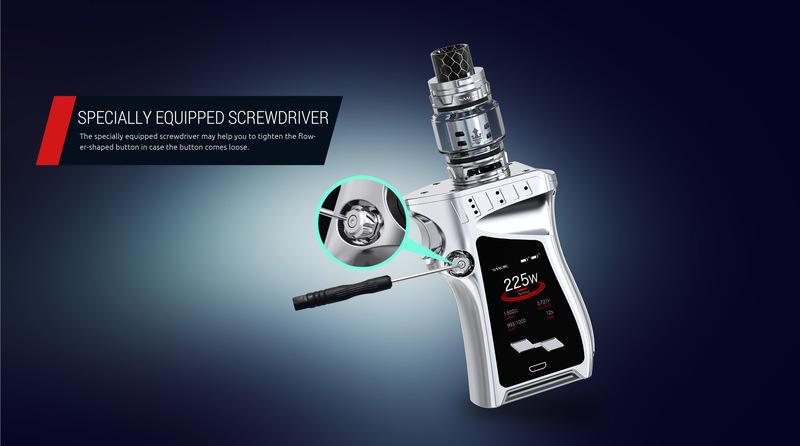 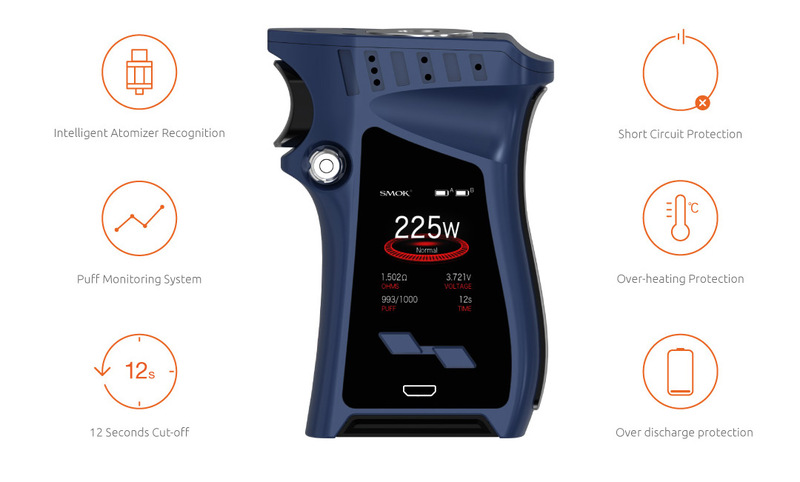 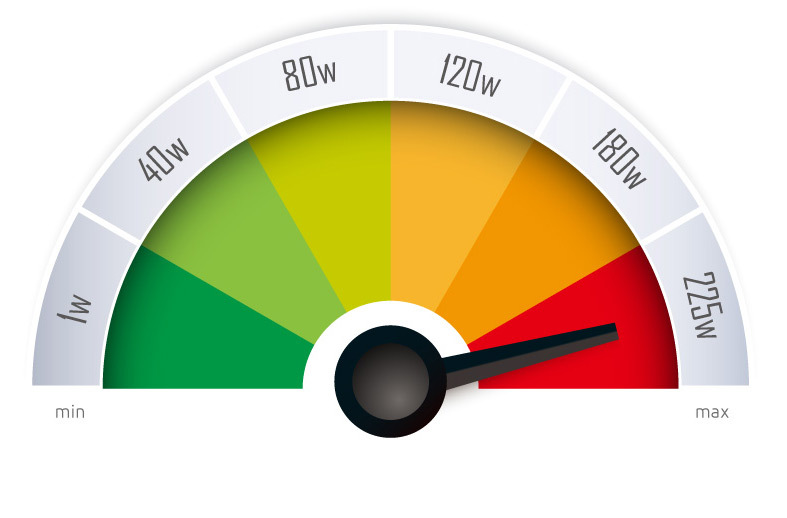 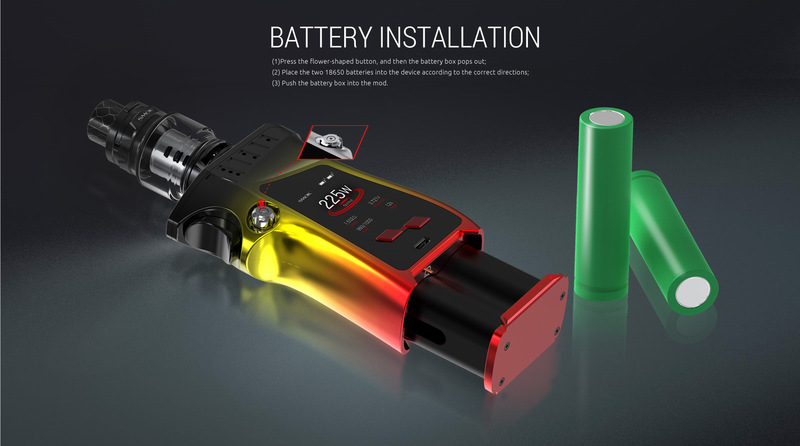 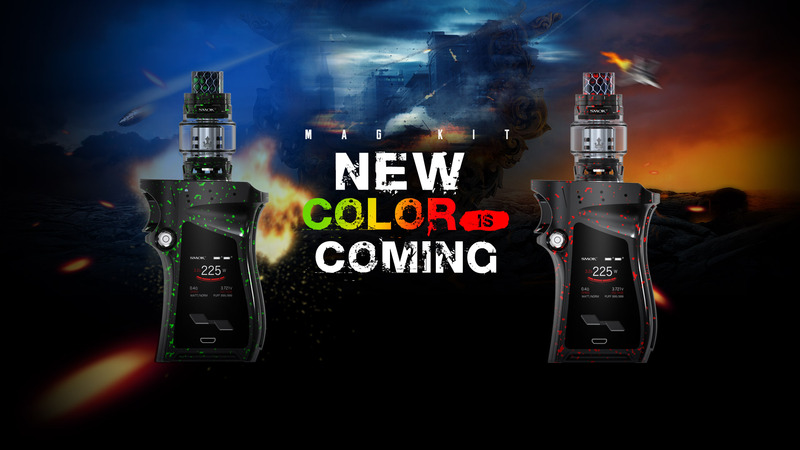 The mod offers dynamic user-friendly high definition OLED Screen to display vaping data clear and precise. 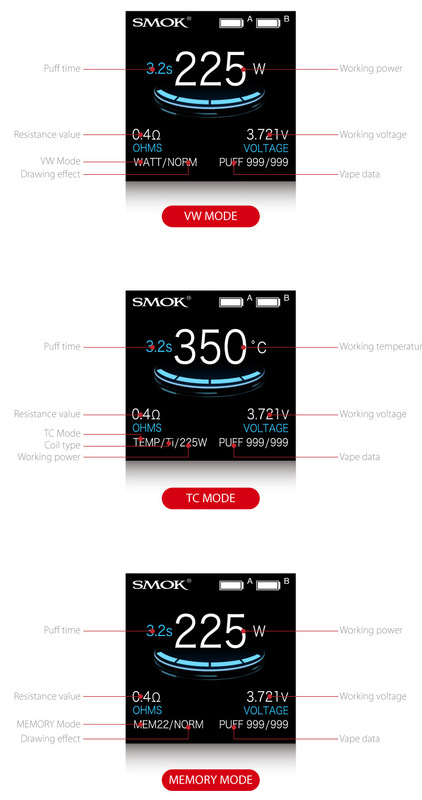 3 modes available for different preferences. 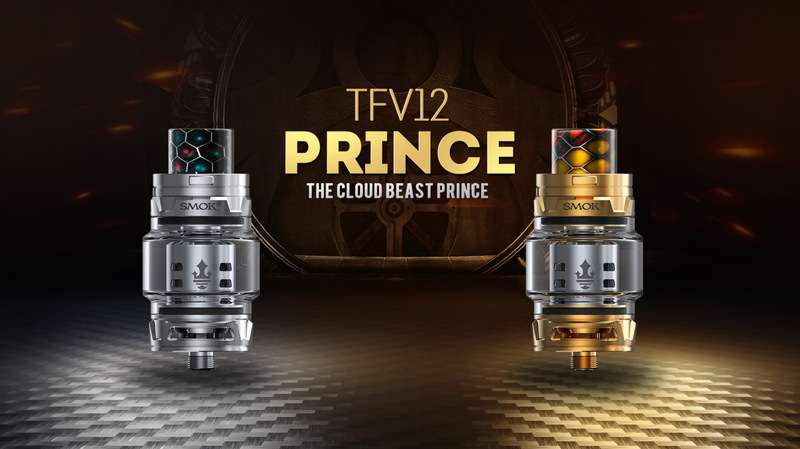 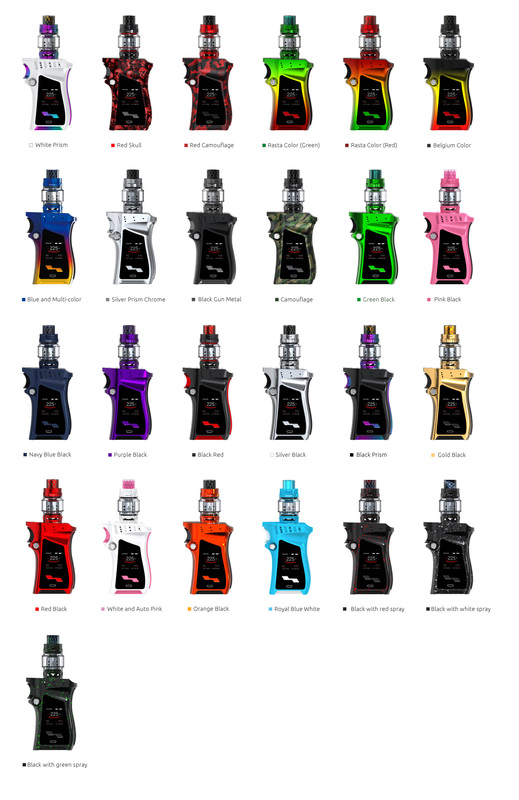 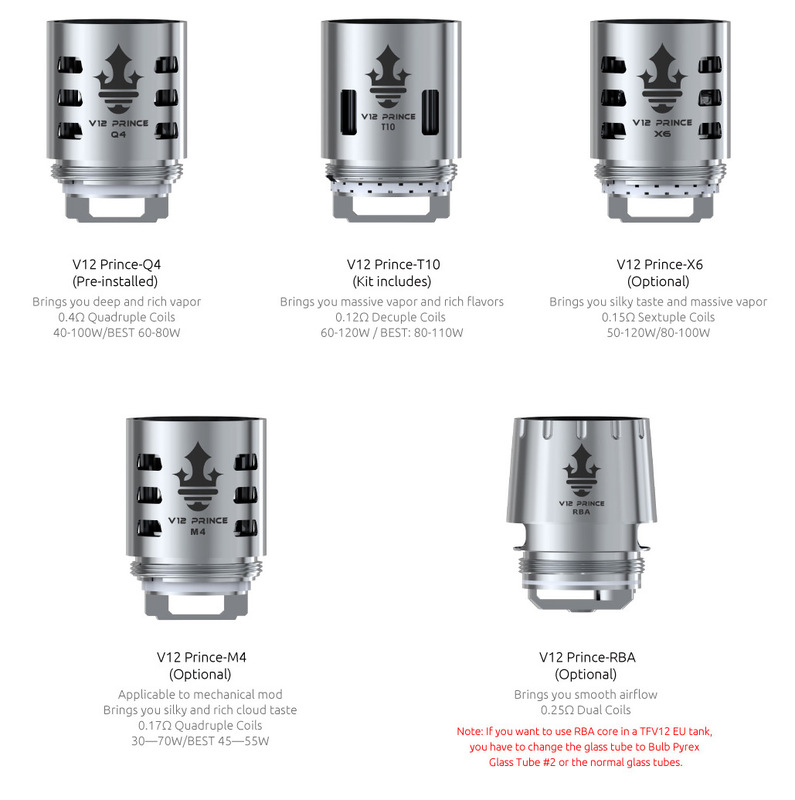 The TVF12 Prince tank is unbreakable power tank which brings massive vapors with rich flavors. 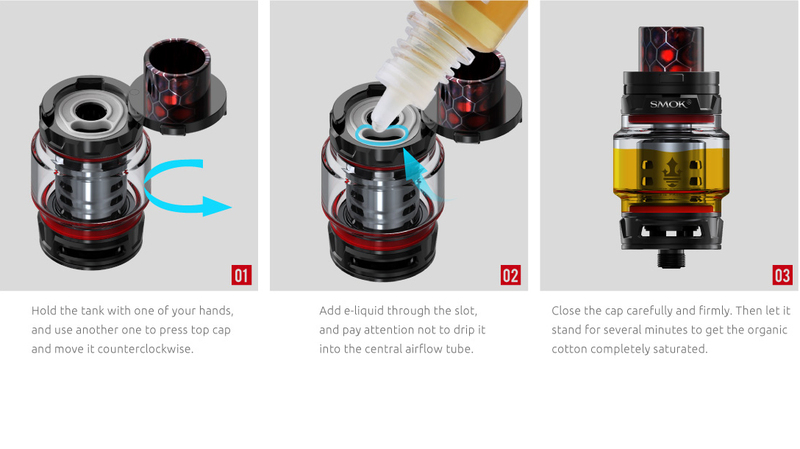 The porous structure of the tank makes it a good surface absorption to fasten the speed of e-liquid and enlarges the heating area. 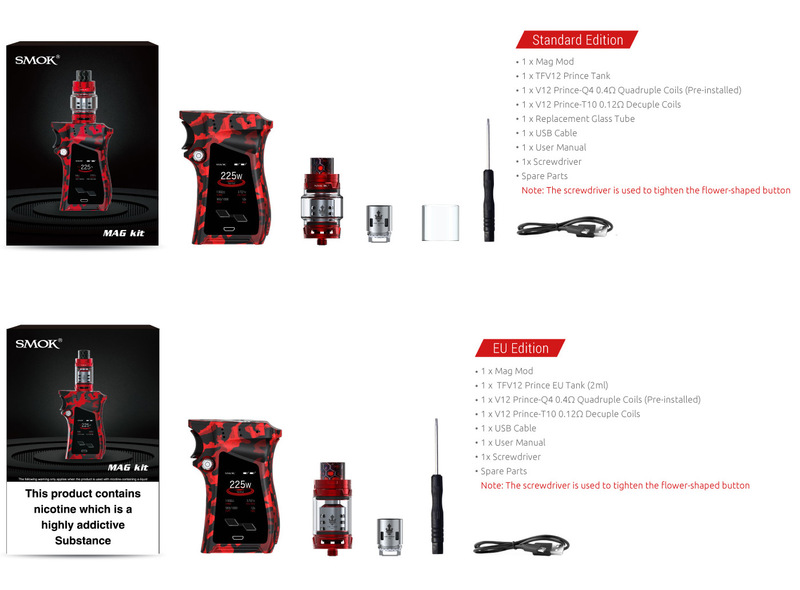 Nicotine and tobacco-free kit make it ultimate suitable for the wonderful smoking experience. 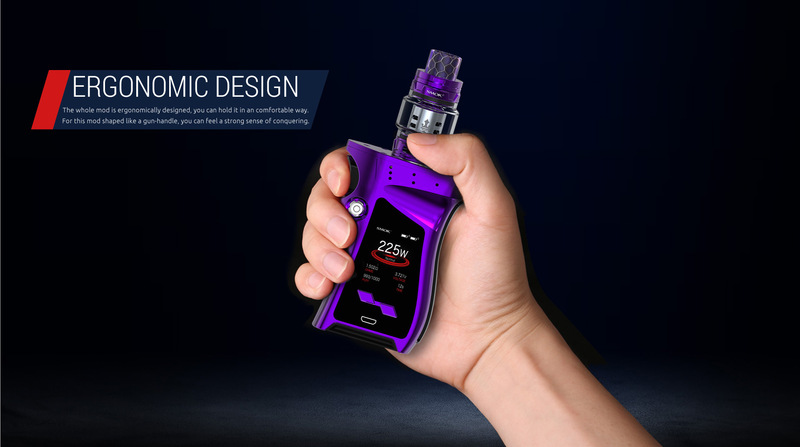 Hence causing no harm to health. 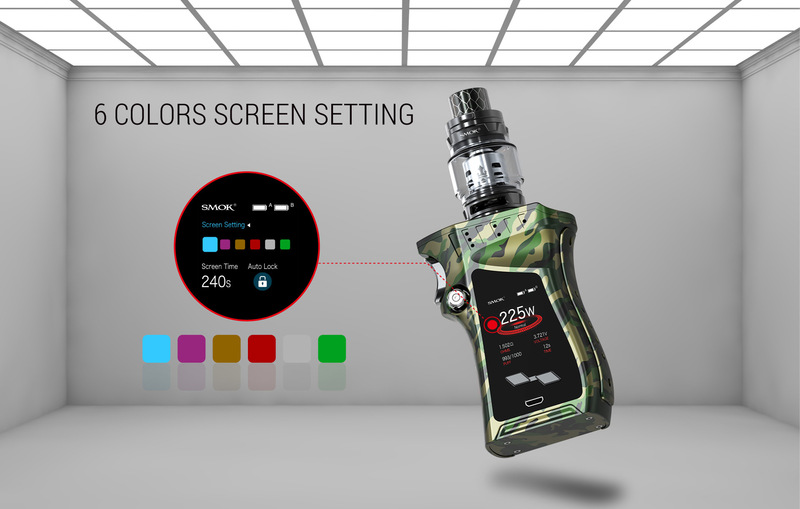 This health friendly kit is available in 25 colors (Silver Black, Red, Gold, Purple, Green, Navy Blue, Pink, Rainbow Prism, Red Skull, Camo, Rasta, Belgium, Red Spray).